I was honored this weekend to run in memory of Angel and babies lost too soon. I ran this same 5k for the first time last year, and I love it! I love the time to reflect about Angel... I love the time it takes to drive up through the beautiful Georgia mountains toward this running destination. 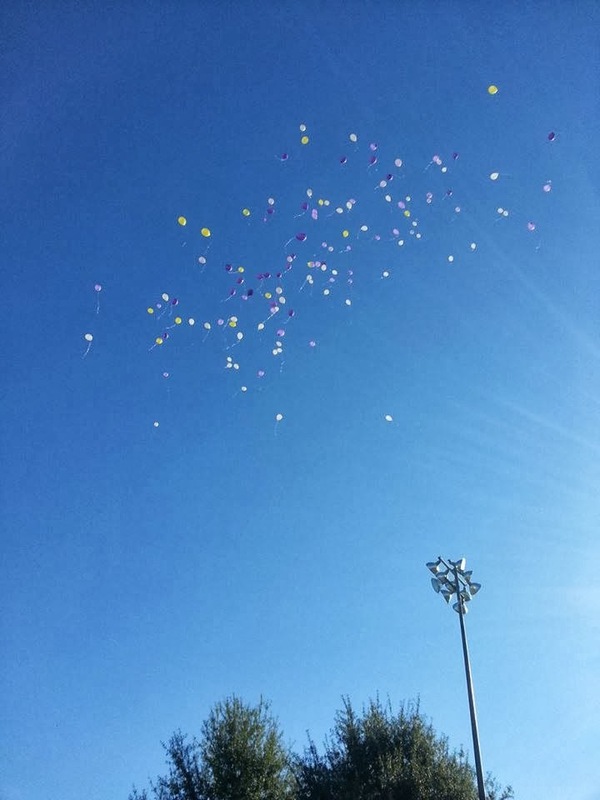 I love the words of remembrance they speak before we do a balloon release in honor of our babies. I love the simplicity and yet challenging aspects to this course, and I just love to run it. I love to run in honor and remembrance of Angel. And for those of my friends who have experienced a loss - to honor their babies. I wore this shirt last year as I ran, and I wore it again this year. Sadly, I had to add some names to the shirt, but I was glad to have had a chance to honor them all. 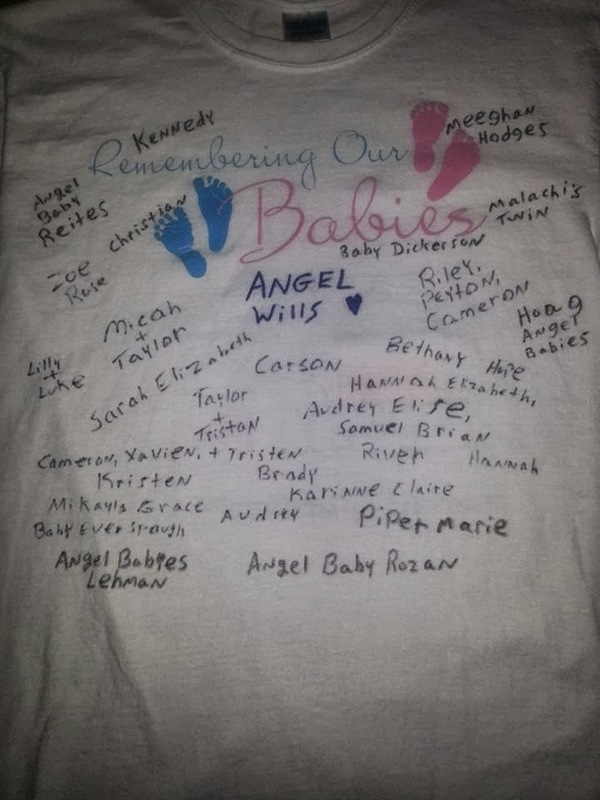 Side note: If you don't see your baby's or babies' name(s) on my shirt and would like for them to be on it for next year, just leave me a comment below with their names. I would be more than happy to add them! It was a beautiful day to run, and I ran well. In fact, I improved my time from last year about three minutes! I believe I did our babies proud! 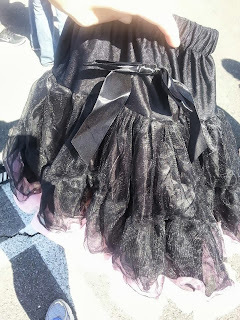 The skirt I won. Beth LOVES it! Like a gift from Angel to her big sis. 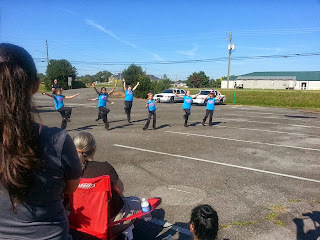 I didn't win an age group award this year, but they did that a little differently. They lumped together women with men. When you do that, a woman hardly ever has a chance to place in her age group. But that's okay. I didn't come to win any awards. I ran to heal. I ran to remember. I ran to honor. What a blessing this event is to me! Today's forget-me-not: Take the time to stop and remember. Will you please add our baby's name. Wyatt Webb. We lost our baby 11-9-11 at 10 weeks we felt this was our boy, Not sure. Thanks Vetta Webb. Will do Vetta! Sorry for your loss!